There are a number of educational app series currently in the App Store that are just amazing. As a parent and an educator, I want to know that those apps that are installed on my personal and educational equipment will make an impact on my children. Education is shifting on a daily basis and many schools are moving towards a 1:1 program with tablets, particularly iPad devices. Some schools however are questioning is it worth the money? What will the impact be on our students as it relates to the all important state test scores. Some teachers are wondering how technology fits into the new standards, particularly those of the Common Core State Standards coming their way. Amazingly those from Frolyc development group are taking these questions very seriously. Through a variety of different multimedia formats, Murky Reef educational app series guides young learners in first and second grade through a cross curricular learning adventure. Back in February of this year we reviewed Murky Reef: Think and Play. Our review was based on the Lite version, however, with an in-app purchase of $4.99, curriculum connections and engagement are taken to the next level of learning. It’s critical thinking at its best as children navigate through the murky seas learning to be a scientist, mathematician and a reader. In any of their educational app series – Math 1, Math 2, Language Arts 1, Language Arts 2 or Science, parents and educators will be astonished at the levels of learning and engagement that is going on while frolicking the depths of the ocean floor. The Murky Reef educational series app design was built with the intent to make our children think in a variety of ways. Their educational games have students moving through hierarchical levels of learning based on Bloom’s Taxonomy. When applying these educational apps in your classroom or home, students will be building their knowledge and comprehension as they apply, analyze, synthesis and evaluate their learning. As Applicable2U explored with their recent download of Murky Reef: Science, we had a sense of having a textbook in our hands. Information is shared interactively through narrated reading passages, YouTube videos and manipulation of items on each screen. Content could be presented in a variety of ways: large/small group or individually. Presentation would be dependent on the number of devices available. Regardless, once information is learned or reinforced, put it to the “Puffer test”. 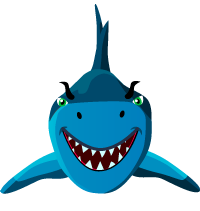 Puff, is Murky Reef’s superhero and needs your help to stop Ogee the ravenous eating shark. If your school is equipped with multiple devices, teachers could set up student accounts, allowing students one to one time to move through a quiz like format of questions to share what they have learned. Through an individual performance report, all concerned parties (parents, educators and yes, even students) will be provided a break down of skills learned and needs of improvement. With classrooms jam packed with content to cover and uncover in 10 months, learning should be presented in a cross curricular manner and Frolyc educational apps are making this happen. Whether you download one or all of the apps within this series, parents and educators of all learning styles will be pleased. If you would like to learn more about Frolyc apps, please visit their website here. Over the past several months, eSkills Learning has been hard at work to expand their collection of educational apps. The eSkills Learning team have designed BINGO like apps that relate to core curriculum standards in the areas of: Language Arts, Reading Comprehension, Math and Algebra Video apps. Both Parts of Speech and Compound Words can be played on any Apple device running iOS 3.2 or later. The applications may be pricey compared to other educational apps out on the market, however, the eSkills Learning team is devised of members with over 30 years of educational experiences. Their goal is to motivate and challenge those using their applications. The academic end results that a parent or teacher will see in their child or student after having played will be worth the download. Through this game format, students won’t even realize that they are learning, reinforcing and reviewing for their next language arts lesson or even a state preparation exam. Practice mode gives the user control over how many questions they will need to answer. There is no BINGO board in this mode of play. Through game play, users will be increasing their word recognition skills, the ability to look at words in many parts and the development of vocabulary as they listen, speak and write. Overall, Applicable2U continues to be pleased with the educational apps that eSkills Learning has to offer. Depending on your child or students level of need in learning or reinforcing either of these two topics will determine the academic approach that will be taken. For some it may be challenging, so working alongside a higher level partner might be useful so as to differentiate when needed. A note to the developers, in a future update, might it be possible to include an option for the device to read sentences when necessary. Although direct instruction will be provided, could users tap on an unknown part of speech, causing a help window to pop up for further support. Finally, within the practice mode, has your team thought about generating a short report which shows how that student did during that session. If you would like to learn more about eSkills Learning, please visit their website here. As mentioned in the brief overview of each application, there are two available versions. When making this decision, do not look at the dollar value, look at how it will support and guide your child academically. To begin adding Parts of Speech Full Class version to your iTunes library, simply click here. 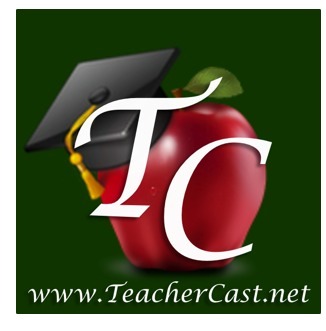 To add Compound Words Full Classroom version to your iTunes library, simply click here. As the summer comes to an end many educators are putting their “teacher caps” back on and beginning to plan for the coming months. If you are questioning how you might integrate your particular grade level curriculum as it relates to mobile learning, then think no further. eSkills Learning development group has a wide range of language arts, reading and math apps available. The most recent addition to their collection is Minimod Nouns for any Apple device. With a very user friendly design and a game like format, children won’t even realize that their language art skills are being put to work. One of the many things that Applicable2U likes about the Minimod apps is that they are designed for both tutorial and competitive opportunities. In addition, no educator or parent needs to worry that while experiencing eSkills Learning apps that their child is playing a “mindless” game. Activities are directly correlated to the Common Core Stands, state testing standards as well as the core curriculum which builds the foundation for understanding sequential skills. If you are familiar with other eSkills Learning designs you know that interaction occurs as a bingo game. With this particular app, users will be reinforcing their nouns through four levels of play. Level 1 – Person, place, thing or idea. Level 2 – Common or Proper Nouns. Level 3 – Concrete or Abstract Nouns. Level 4 – Collective or Compound Nouns. Regardless of which level, play can occur in multiple ways. Users can play on their own as a single player, with another user as each users are on their own device with Minimod Nouns app loaded or in practice mode. The learning experience doesn’t end with one use of the application. Within the multiple player option, users can either host or join a session of Minimod Nouns. Within your Apple device settings, Bluetooth capability must be set to on in order for the game to begin. There is no need for panic in this mode, it is completely safe as users can only interact with other local devices with this particular app. Within each level, simple directions are provided along with a sentence and a missing word. Through a visual representation and three choices to choose from users will be reinforced with both positive and negative feedback. Answer choices are labeled with the bingo format (ie. 48A or 2B) and can be found on the game board. If you happen to forget or not pay attention to that label there is a touch window/box for recall. Similar to the real world version of Bingo, some numbers may not appear on the game board, thus extending the game for continuous reinforcement. Overall, Applicable2U truly feels this educational app would be an excellent addition to your Apple device. The only suggestion that we might provide to the developers for a future update is the ability for those in practice mode to have a definition window of some sort pop up. If users are struggling it might indicate that they are unaware of other types of nouns besides those of: person, place, thing or idea and common and proper nouns. As indicated earlier, eSkills Learning apps are designed for learning and reinforcing and a definition reminder might just do the trick. If you would like to learn more about eSkills Learning, please visit their website here. Already a fan of the Minimod apps, then begin download Minimod Nouns here to add to your iTunes library. For our 91st review, Applicable2u would like to “shake” things up a bit. It’s time to put back the creativity into our educational system while meeting academic standards. While following my professional learning network today via Twitter, a number of educators were discussing this growing issue of teaching to a test. Why is it that we are now teaching to “cover the content” rather than teaching for meaning or understanding? As an educator when you say you “covered” a topic, are all your students understanding it as well. Unfortunately, education has become so time driven that we end up losing a number of our students along the way. Regardless of this educational trend, educators are reaching out for grants or state funding to improve their forms of instruction. In a number of areas across the United States, we are seeing more and more schools that are implementing various Apple devices. Research has shown an improvement in student academic success due to the integration of such technology. As the Apple Store continues to grow, there are a number of developers out there that are consulting with others to be certain that their app meets state standards while also incorporating a little fun. Applicable2U would like to share with you, Artgig Apps. They will be launching a new language arts application to your iTunes library called Shake-a-Phrase that is designed for students in the upper elementary grades (ages 8+). How do you teach parts of speech or the improvement of well developed sentences? At times do you find it to be dry and boring? Well then it’s time to Shake-a-Phrase! Shake-a-Phrase can be downloaded to any Apple device, for this review, our exploration was completed with the iPad2. Upon entering you will notice that learning can occur in three ways: Shake It!, Quiz Me!, and Story Starter. Immediately my “teacher brain” was flowing with ways to integrate as a whole group and also individually within a classroom or at home. Each level of play has four graphically appealing themes: basic shake starter, animals, fairy tales and monsters. Simply choose your game mode and let the shaking begin. With over 1,700 words and definitions users will be completely engaged while learning. Through this engagement, students will be developing and/or reinforcing three forms of parts of speech: nouns, verbs and adjectives. In addition, students will begin to see the importance of words and how it can change their writing. Through the development of parts of speech, sentences can become more detailed. As Shake-a-Phrase is integrated, sentences become more than just words, they become a visualization of a writers ideas. With ease, users will be able to navigate between modes of play and themes to extend the learning with each return visit. In addition, users have the option to save and share favorite sentences with others. Shake It! – This mode of play allows users to tap or shake the Apple device to generate silly sentences based on the theme chosen while building an understanding of words and definitions. The Shake It! mode can be incorporated throughout a unit or lesson. When introducing types of words and the development of vocabulary & definitions, connect your iPad device to a large screen and explore these silly sentences within a whole group setting. Interactively break the sentence apart, attempting to define vocabulary based on contextual clues while also locating the part(s) of speech you are trying to introduce or reinforce. A note to the developers – has there been talk about incorporating additional parts of speech or even forms of figurative language to a future update? By implementing more language arts strands, Applicable2U thinks this educational app would open additional doors to the upper elementary grades. Story Starter – As various genres of writing are taught, students should be encouraged to be creative writers. For some, writing is a struggle. If your students have ever felt stumped on what to write about or where to begin, then try the Story Starter mode. With a simple shake or tap, users will be given a topic to think about as they dream up the rest. Here is an example, “Imagine a smelly witch and a slow phantom working near the jungle…..” While exploring in this mode, users should keep in mind the 5w’s (who, what, where, when and why) of a good story. Initially, users might find it useful to have the teacher model the development of this story with support from the whole group. Keeping in mind the importance of details and how a variety of parts of speech and word choices can enhance ones writing. Quiz Me! – now it’s time to put the instruction whether interactive or direct to the test. Quiz options can be changed based on which parts of speech to have turned on. Quizzes can occur as each part of speech is taught or the culmination of all three. Whether interaction with the application and the device occurs as a group, in teams, or individually, this mode of play can challenge learning styles of all kinds. While playing, users will be expected to tap as few as one part of speech to three parts of speech for each sentence. Users will progress through levels by answering three or more correct questions. To guide students towards success, a set of clear directions are provided as to what type of word(s) are to be tapped. Additional support and reinforcement is given with correct and incorrect answers through a visual (green and red boxes) and auditory (buzzing). While in quiz mode, if users are unsure of the meaning of one of the parts of speech, developers have also included a question mark button which defines that word. It is important to note that upon exiting this application, that quiz mode will not pick up the last players level of completion. A note to the developers – have you thought about a reporting option to either parents and/or teachers for this mode of exploration? Or to have a multiple user option when gaming for a reason within the Quiz Me! mode. Overall, Applicable2U was very impressed with Shake-a-Phrase. Through the incorporation of random, silly sentences a variety of language arts standards will be met. Whether you are an educator or a parent, this educational app is applicable2u. Some might argue that this technology approach to teaching parts of speech and vocabulary may not be standardized testing approved, however, users will leave this application with a solid understanding of such material which can then be applied to their own writing. To learn more about Artgig Apps, please visit their website here. Or you can begin to shake, laugh and learn by downloading Shake-a-Phrase from your iTunes library here. If you have been following Applicable2U since our launch, you already know that eSkills Learning can make a mark in a variety of educational settings. With valid resources based on the Common Core Standards, teachers can feel confident that by downloading one of their apps to your iTunes library is applicable2u. So what have they been up to now? To add to their collection of language arts educational apps, eSkills Learning has recently launched Word Structure: Prefixes, Suffixes and Root Words. B – 39….it’s time to learn and/or reinforce academic skills with a little BINGO. Word Structure will guide the user to better understand multisyllabic words consisting of word bases, prefixes, and/or suffixes. How are you currently presenting this somewhat dry language arts skill to your second through sixth graders? Are you standing up at the front of your room in a lecture format? Are you looking for an alternative way to present? With three modes of play, users can truly challenge themselves with each experience. Regardless of which mode chosen, Word Structure offers four levels of difficulty: Affix Meaning, Find the Base Word, Find the Affix and Make a New Word. Unlike other educational apps, eSkills Learning supports their users (teachers and yes, even parents) with an instructional guide. Applicable2U is excited to share various scenarios as to how this educational app might look within a whole and small group setting. Practice mode: a teacher might equate this mode as level one, possibly still teaching or in need of supplemental materials for a small or large group. If your group is still struggling with word meanings even after several mini lessons, connect your Apple device to your computer and project on a large screen. As a group, set the necessary number of questions to answer and let the learning begin. Randomly, select students to read questions and three choices. Prior to answering, have students share personal strategies of defining and remembering affixes (prefixes or suffixes). As strategies are offered and continued reinforcement occurs in “practice mode”, users should try to apply this learning with a current book they are reading. As they come across unknown words in context, recall those skills shared with the help of eSkills Learning Word Structure. Single Player mode: as confidence is developed, a user could individually work in the classroom or at home to continue their understanding of multisyllabic words. Learning is presented as a BINGO game as they play against the computer and different with each experience. As a user plays in single player mode, they truly take hold of their own learning and understanding of the level of difficulty chosen. The concept of word structure maybe presented within an academic setting in grades 2-6, but it’s a skill they will need throughout their entire lives. Multiple Player Mode: confidence has been acquired and now it’s time to see how user(s) do against each other. With nearby Apple devices that have been synced with Word Structure, let the competition begin. Students can safely host and/or join the BINGO game once those devices being used have turned Bluetooth capability on. How many educational apps do you know that incorporate this type of mobile learning? eSkills Learning designs educational apps that enriches students from late elementary to middle school with the intent to prepare them in the present and for the future. To learn more about eSkills Learning and their recent launch of Word Structure, be sure to visit their website here. If decoding words is an area of need for your child(ren) or student(s), then begin downloading Word Structure: Prefixes, Suffixes and Root Words from your iTunes library here.